American Girl Doll Play: Fun Find - St. Patrick's Day Hats! Fun Find - St. Patrick's Day Hats! I wanted to pop on here quick this morning and share a fun find that we found at our local Walgreens store. While I was looking for some Easter themed items and decorations I happened upon some mini St. Patrick's Day Shamrock hats that are perfectly sized for you 18 inch dolls! I thought the $1.99 price tag wasn't too bad seing as though you got 6 hats and we will pack them away and re-use them from year to year for the dolls. Do your dolls celebrate St. Patrick's Day? If so, what things do you plan for them? 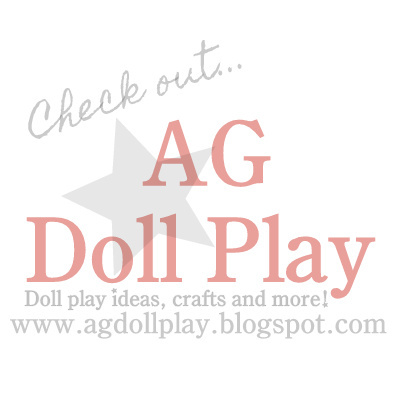 Be sure to share with us your ideas on the AG Doll Play Facebook page! We would love to see your photos!